[Update] Screenshots from some of the new features included with the 4.0 update have now been added. [Original story] The upcoming PS4 4.0 update, codenamed ‘Shingen’, will offer a lot of new features, including folder creation and a refreshed UI with new system backgrounds. The 4.0 update will be available soon for those in the public beta program. Those who have been selected for the public beta, will be receiving an e-mail with instructions on how to download the update. On Sony’s official PS Blog, Vice President of PlayStation brand marketing, John Koller, provided a glimpse of what the new PS4 4.0 update will offer. 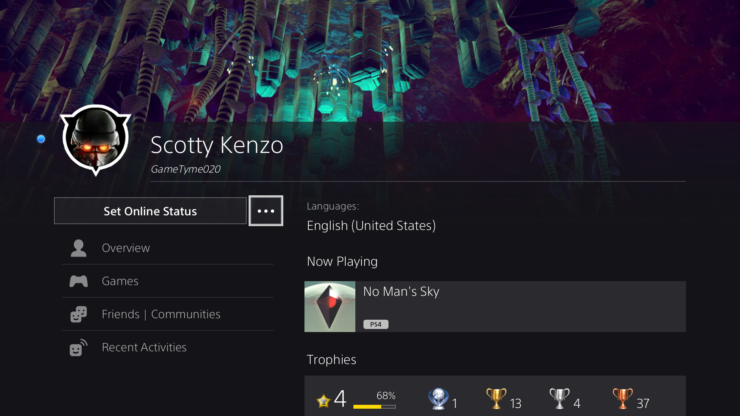 We’ve made a lot of adjustments and improvements to PS4’s main user interface. That includes some changes you may notice right away, like new system backgrounds and a revised What’s New tab, to smaller changes like updated popup notifications and redesigned system icons. As a whole, it all adds up to a more refined and easy to use UI. The overall look and feel of the UI remains the same — it just has a fresh coat of paint. As you know, pressing and holding the PS button on your DualShock 4 brings up the Quick Menu. We’ve overhauled this menu to make it faster and easier to use. One big change is that the menu now only covers a portion of the screen, meaning you don’t need to leave gameplay entirely. We’ve added several new items to the Quick Menu, letting you quickly get info without having to back to the home screen. You can see the online status of your friends, and shortcuts to quickly access your Party, Favorite Groups, Communities, and more. You can also customize the Quick Menu, removing or adding items as you see fit. 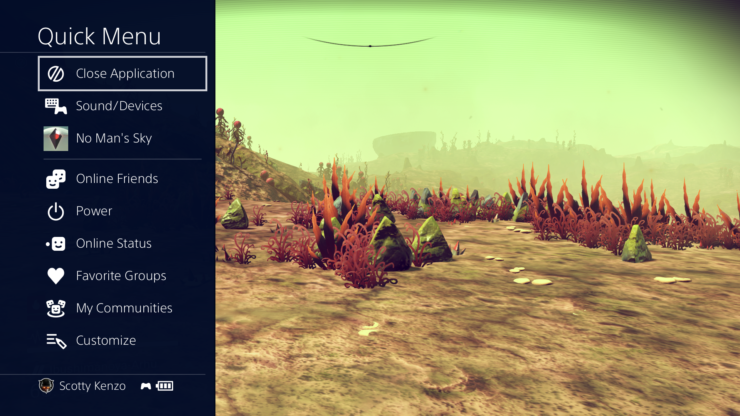 We’ve given a similar overhaul to the Share Menu, which appears once you press the Share button on your DualShock 4. Like the Quick Menu, it only covers a portion of the screen. It will save the last social network you shared video clips or screenshots to, making the process of sharing a screenshot or video a bit faster and more streamlined. 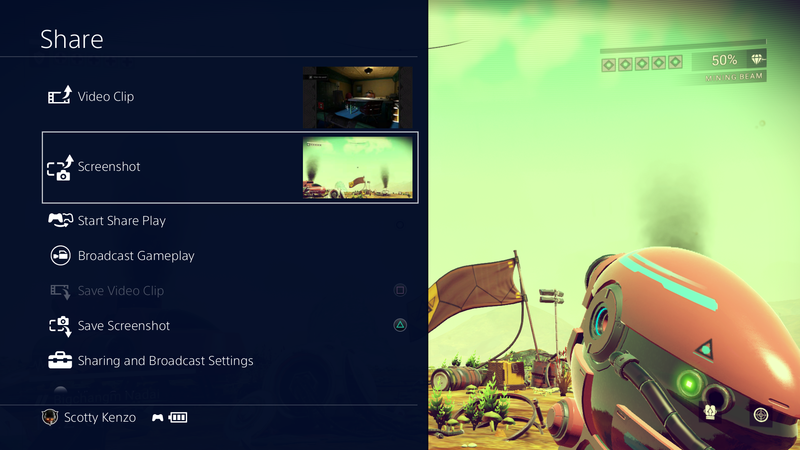 One of the big requests we get is for more options to organize content on PS4. 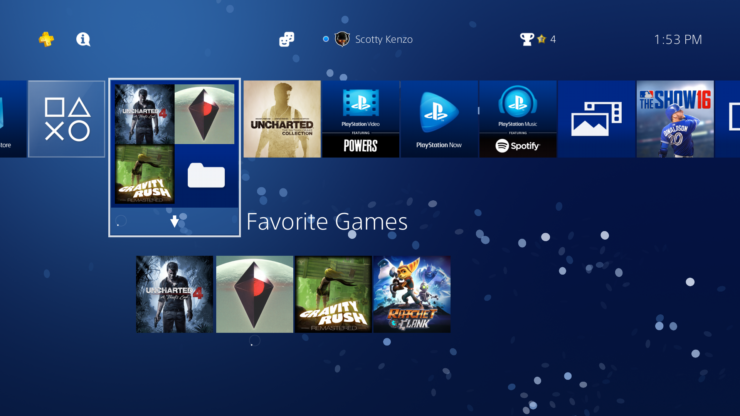 With this update, we’re adding functionality to create folders on PS4’s content launcher and Library. This will help collect your favorite games and select apps in one place for quick and easy access. We’re also making some pretty big changes to the Library. We’ve added a new tab called Purchased, which will show all of the content you own — games, applications, demos, and betas you’ve participated in. As a result, the Games and Applications tabs focus on content currently installed on your system. This should help de-clutter your library, and make it faster to find the content you’re looking for. There are some new sorting tools for your Library as well. You’ll be able to sort content by purchase date or install status, and search for specific games and apps via text input. This update brings the ability to view the Trophy offline. You’ll see a new “offline mode” option if your system is unable to connect to the network, letting you view your entire Trophy collection without an Internet connection. We’ve also added a button that will let you view the content of a Hidden Trophy. The Trophy will still be hidden by default, but you can now choose to show the Trophy name and info. Lastly, we’re changing the icons that show how rare a Trophy is. Instead of four boxes that fill, the icon looks like a pyramid with the ultra-rare Trophies at the top. We’ve updated the look of the User Profile, making it easier to see relevant info for a player at-a-glance. For instance, you can now see your Trophy progress compared with another player right from their profile. You can also add a background image to your own profile — perhaps a screenshot you took in one of your favorite games. Apart from the updates mentioned above, the final update offers even more features that won’t be available in the beta. More info on the PS4 4.0 update will follow in the coming weeks.